Cute cottage style home that has been recently updated. 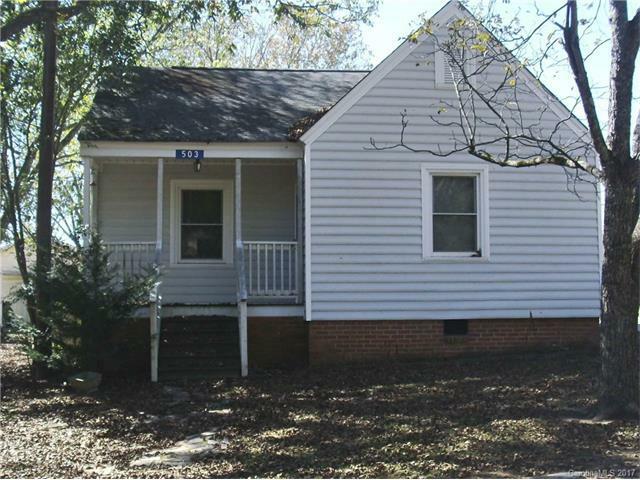 New siding, windows and central HVAC unit.Perfect starter home or investment property. Wonderful, new detached two vehicle detached garage/workshop at rear of property. 28 x 40 building, concrete floor, overhead lighting, automatic doors. Second dwelling adjacent to this property will also be included. This property has a lot to offer. Lets look! Offered by Ace Realty Co, Inc.. Copyright 2019 Carolina Multiple Listing Services. All rights reserved.